During a catch up with a former colleague in London recently, they mentioned that two of their team members will be getting braces in the near future. 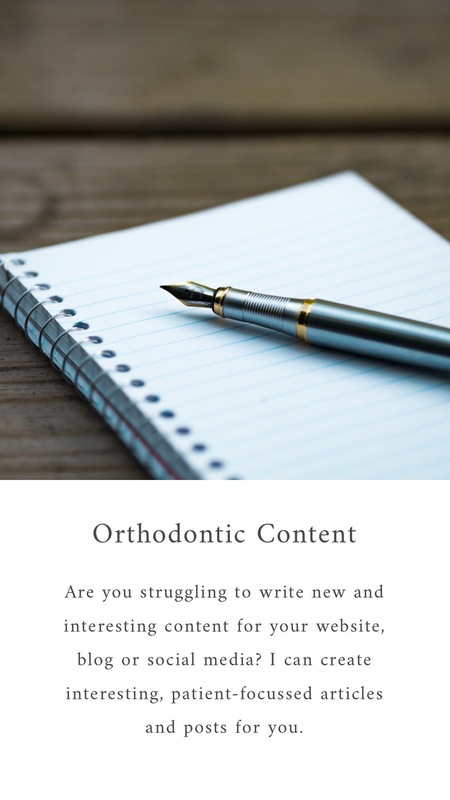 We chatted about how she can best support them and on the way back to my hotel, jotted down a few notes that I hope you find useful if you discover that one of your colleagues or staff is getting braces. It’s a big thing for them – getting braces is a big commitment not only financially but in the time and effort that needs to be invested in successfully completing the treatment. Show some interest in their progress, ask how they are getting on and listen to their tales as they get used to their new braces. Make sure you comment on the great progress they are making and how great their teeth look. No more curry nights – curry, rich tomato sauces and many other foods quickly stain elastics which cannot be removed by brushing. Attending meetings with yellow stained elastics isn’t a great look and one most brace wearers will be keen to avoid. The only solution is to visit the orthodontist to change the elastics which may mean more time off work so maybe best avoid arranging curry nights unless your colleague is wearing removable aligners. Time off for appointments – there’s no hiding this, having braces requires a lot of trips to the orthodontist for adjustments. Many practices offer early morning, evening or weekend appointments but some do not so you may find your colleagues needing to take additional time away from the office. The good news is that apart from the initial record taking and bond-up appointments, most are relatively quick so their absence shouldn’t be for too long. Think about the coffee – like curry, strong coffee stains elastics and is often best avoided. You may find colleagues with braces less likely to go for that early morning coffee ‘pick me up’ and choosing something like water instead offers a brace friendly and healthy alternative during those long meetings. Some snacks are on the banned list – and on a similar theme, think about the snacks you may also have available at work; apples, chewy biscuits, nuts etc. are all foods best avoided if they want to avoid breaking a wire or a bracket so think about some alternatives instead. If you are stuck for ideas, just ask them. Some privacy please – whether they have braces or removable aligners, frequent trips to the bathroom for regular teeth cleaning will become common place fairly quickly. It’s embarrassing cleaning your teeth in front of colleagues so you may find them seeking out the quieter, less visited bathrooms. Taking aligners out in front of colleagues also isn’t generally the done thing and as you can’t eat or drink anything other than water with them in, will find them looking for privacy too. Let’s avoid the labels – it’s perfectly acceptable to say something like “she’s the one down there with the red top” but not “you need to speak to the one with braces”. Fairly obvious I’m sure but not beyond the realms of possibility. And talking of labels, tearing sellotape with their teeth is something they will also be keen to avoid! 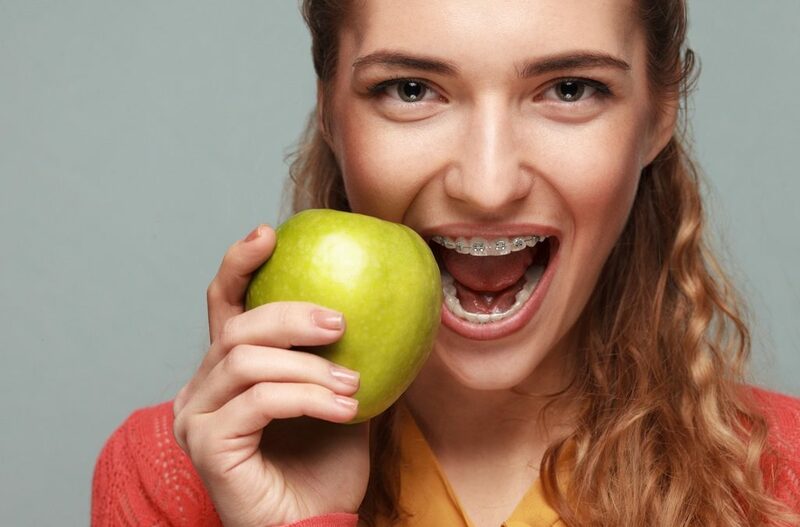 No pain, no gain – immediately after getting their braces fitted or after an adjustment, your colleagues will likely have sore teeth and will revert to a soft food diet. This isn’t a permanent change and normal service will resume in a couple of days. Just remember cake not only promotes team building but is something your brace wearing colleagues will appreciate. And most importantly – please notice when they get their braces off and congratulate them on a terrific smile. It was over a month before one of my team who I worked with on a daily basis noticed despite taking every opportunity to show off my new smile. I hope this helps you Diana!